Living a Fit and Full Life: Take the First Steps to a Healthier You with Shake 360 & Fresh Start 3-Day Body Reboot! Take the First Steps to a Healthier You with Shake 360 & Fresh Start 3-Day Body Reboot! Reboot your body with Fresh Start, designed to help you feel lighter, healthier and energized—in just 3 days. Do you drink caffeine every day? Did you eat something with added sugar in the past 24 hours? Did you eat processed food today? Would you like to have more energy? 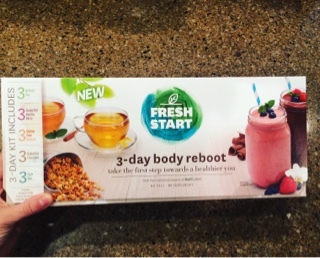 Shake 360 and the Fresh Start 3-day body reboot are awesome! I absolutely loved the Fresh Start 3 day body reboot. I had just celebrated my daughters 6th birthday and had indulged a bit too much. It was the perfect time to start the Fresh Start 3-day body reboot! I began my morning with the fabulously delicious organic Refresh tea, with fennel, lemon, licorice and hibiscus to help ease digestion. 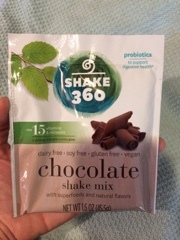 I enjoyed a a Shake360 Chocolate shake for breakfast and a Shake360 Vanilla Berry shake for lunch. Then for a snack I had gluten-free granola with 10g protein, only 6g sugar & heart-healthy chia and flax seeds. I made a healthy dinner with simple ingredients and enjoyed organic Chill tea in the evening, with ginger, spearmint, cinnamon and peppermint to calm & soothe my body. I also had 2 cups of fruit and unlimited non-starchy veggies throughout the day. After just one day of doing the Fresh Start 3-day body reboot I felt amazing! By the third day my sugar, caffeine and salt cravings were gone. Also gone was the bloating and constipation that I'd been suffering from. My stomach felt happy and let me tell you, it's been a long time since my stomach actually felt happy. 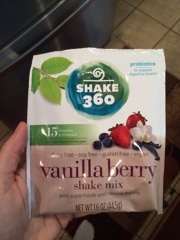 I've continued to enjoy Shake 360 shakes and absolutely feel amazing. I love that they contain 15 vitamins and minerals as well as probiotics. You actually get 3 servings of greens in every glass and since the shakes are dairy free, soy free, gluten free and vegan they're absolutely perfect for so many. I highly recommend Shake 360 and the Fresh Start 3 day body reboot! Click HERE to learn more about Shake 360! Follow Shake 360 on social media!